Since its announcement back in 2017, the reboot of Charmed has been controversial for fans of the beloved original series, which ran on the WB from 1998 to 2006. The show about the Halliwell sisters -- initially Prue (Shannen Doherty), Piper (Holly Marie Combs), and Phoebe (Alyssa Milano), a trio of powerful witches -- remains a cult classic, and updating it for a modern era was always going to be tricky. But The CW was up for the challenge. They assembled a team of creators from the hit series Jane the Virgin to revitalize Charmed for a new generation. The new series promises a more diverse, politically charged version of the story meant to reflect our chaotic times. We’ve already gotten a ton of information about the series -- including more detail about the characters, plot, and how this iteration promises to be very different than what came before -- pieced together below and updated as more becomes available. When does the new Charmed premiere? After years of being in the early production phase (the earliest discussions of a reboot go all the way back to 2013), we'll finally see The CW's Charmed on Sunday, October 14 in the 9pm timeslot, exactly 20 years and one week after the debut of the original series. Is the premise still the same? Basically, The CW is describing it as "a fierce, funny, feminist reboot" of the original. Their description also says that it "centers on three sisters in a college town who discover they are witches. Between vanquishing supernatural demons, tearing down the patriarchy, and maintaining familial bonds, a witch’s work is never done." 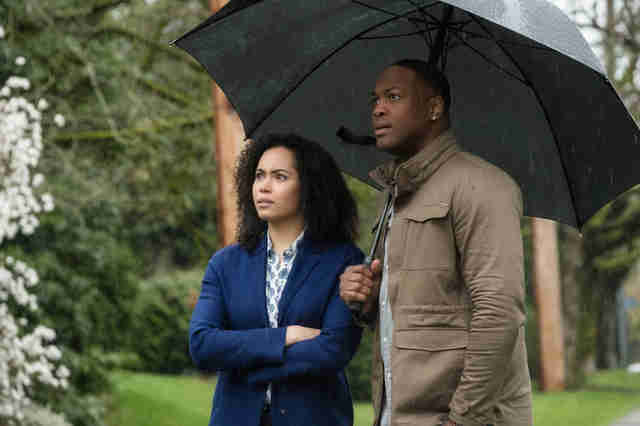 We also know that the show is set in the fictional college town of Hilltowne -- a departure from the San Francisco setting of the original -- and it picks up after the murder of the sisters’ mother, a women’s studies professor. The women soon learn that they are witches, like their mother, and accept their new destiny as the Charmed Ones, who must use their tremendous powers to conquer supernatural demons. Who plays the three sisters? 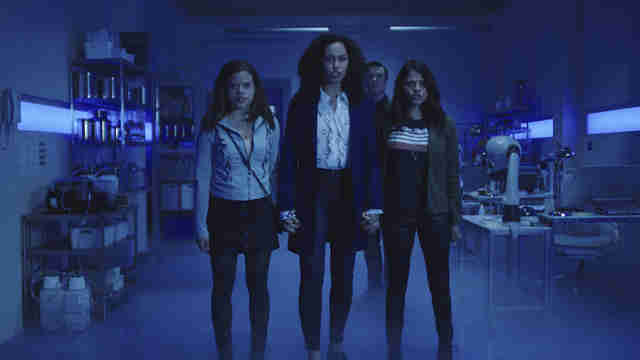 The reboot follows three siblings who follow the basic formula as the original Halliwell power trio, with a dash of their half-sister Paige (who was played by Rose McGowan starting in Season 4) thrown in for good measure. Taking on the Prue role as sensible eldest sister Macy is Madeleine Mantock from Into the Badlands and The Tomorrow People. It's up to her character to keep willful younger siblings Mel, an outspoken middle child played by Elementary's Melonie Diaz, and Maggie, a comparatively superficial college freshman played by Sarah Jeffery from Shades of Blue. Charlie Gillespie will play Maggie’s high-school boyfriend, Brian, and Ellen Tamaki will play Nico, a detective whose "romantic relationship with one of the sisters" -- probably Mel -- "complicates her investigation." As TV Guide points out, the two appear to be new takes on the original series’ Andy Trudeau (played by Ted King). Andy was a detective whose high school relationship with Prue (Shannen Doherty) complicated his own investigation. Man in the High Castle’s Rupert Evans has also joined the cast as Harry, a professor with "an infuriating charm and a mysterious interest in the three sisters," according to TV Line. That description means he’s the show’s new Leo, played by Brian Krause in the original, who was the Halliwell sister’s Whitelighter, a guardian angel figure who protects and guides witches. (Sort of like Giles on Buffy.) In the old series, Leo fell in love with Piper (Holly Marie Combs), the middle sister, and the two had three children. Ser’Darius Blain is also onboard to play Galvin, described by Deadline as "the ideal boyfriend -- funny, mellow, in touch with his emotions, totally on board to follow his lady across the country for her dream job." It was confirmed at TCA that Galvin is, in fact, Macy’s boyfriend. But that doesn’t mean things won’t change down the road; as fans will recall, Leo and Piper didn’t get together until much later, so it’s possible we’ll eventually get a love triangle. Like Macy, Galvin is a scientist, which was changed for the pilot from his original profession as a filmmaker. "I loved that they changed my character...," Blain said at TCA. "Because I was a science nerd when I was a kid and now we have a black scientist on TV." According to Cosmopolitan, an unnamed Trump-like politician factors into the pilot episode, when it's implied that the current president has something to do with the impending apocalypse, which the witches will fight to prevent. Mantock added that the reboot is "very rooted in what 2018 is." The show will also tell stories about immigration and sexual harassment, utilizing its college campus setting to emphasize these forms of discrimination. In general, the reboot promises to be unabashedly feminist, and will focus -- above all else -- on the complex relationship between the sisters. "The idea that we’re sisters and we love each other and we care about each other is the first foundation of what feminism is -- loving each other and supporting each other despite anything else," said Diaz after the San Diego Comic-Con screening of the pilot, according to Bustle, which also noted that the pilot normalizes Mel’s sexual identity. 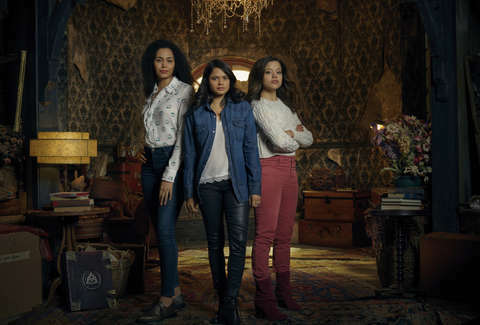 Maybe the coolest thing about the new Charmed: An actual Latinx witch is part of the creative team. His name is Marcos Luevanos, a former writer for Life in Pieces, and he’s a member of a real-life coven. According to executive producer Jessica O’Toole, Luevanos would "meet once a week and do spells and put energy out there towards goals that they wanted to accomplish." The pilot debuted at SDCC to mostly positive reviews, but that hasn’t silenced some vocal critics, including the original cast. On Twitter, Holly Marie Combs voiced her annoyance, adding, "I will never understand what is fierce, funny, or feminist in creating a show that basically says the original actresses are too old to do a job they did 12 years ago." Shannen Doherty, for her part, called the reboot "offensive" on Twitter, noting that it should have been a differently named series using similar themes instead. Likewise, Alyssa Milano, who played youngest sister Phoebe, told Entertainment Tonight, "I wish that they would have come to us and we would have been involved since the beginning." The backlash doesn’t bother those in charge of the reboot. CW president Mark Pedowitz said at TCA, "Everyone is entitled to their opinion. I have great respect for them as actors. But give the show a shot. It’s different." Luckily, fans will soon have the chance to make up their minds for themselves. Lindsey Romain is a writer and editor who covers politics for Teen Vogue and whose writing has also appeared on Vulture, Birth.Movies.Death, and more. Follow her on Twitter @lindseyromain.